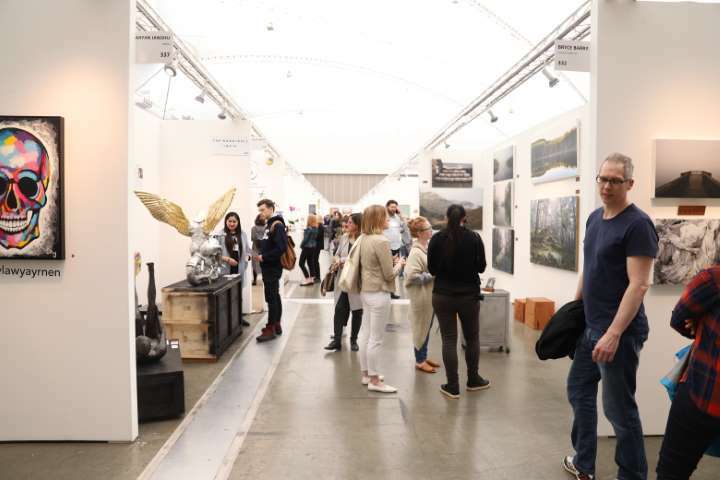 This April, the international, contemporary art fair Art Vancouver returns to the Convention Centre. Now celebrating its fifth anniversary, young and experienced artists from British Columbia and from across the world will unite to exhibit fresh, contemporary work on the city’s downtown waterfront. Designed to be an immersive show with a welcoming environment, Art Vancouver attracts first-time buyers as well as experienced collectors and gives attendees the opportunity to meet and mingle with their favourite artists and creative professionals. The event has long since incorporated the mission of promoting inclusivity and diversity, and will operate this year under the theme of “Uniting Nations through Art.” The show is not just for Vancouver artists, and will, in fact, represent creatives from over 10 different countries this year. The fair begins with its popular Opening Night party. This includes the Face of Art runway show, in which artists take to the catwalk to present a piece of their work to the audience. Visitors can also expect a curated speaker series, workshops led by the artists, after-parties and other events such as the city-wide Art Crawl. Tickets are available at www.artvancouver.net – get yours now!